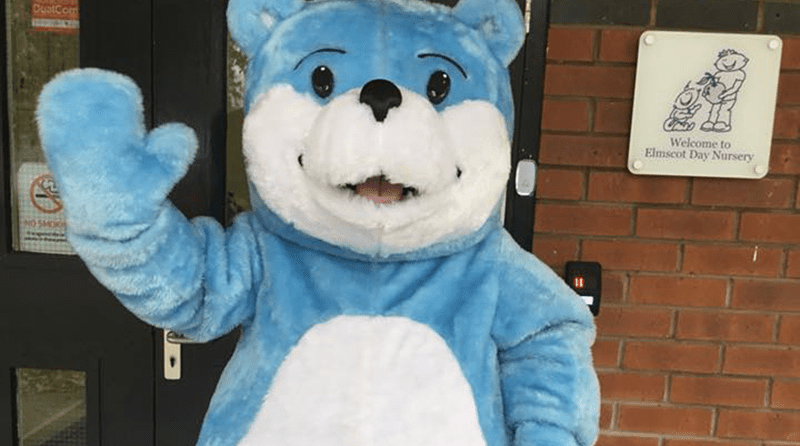 To celebrate National Library Week (8-13 October 2018) Elmscot Day Nursery in Nantwich enjoyed a special visit from the Bookstart Bear. As a setting, the team values the importance of sharing books with children and there are several cosy spaces within the nursery to tell stories and read books. Elmscot (Nantwich) has built up close links with the local library and the Bookstart representative from the Booktrust, Frances Lennon. The nursery arranged a visit from Frances and the Bookstart Bear to further inspire the children’s interest in books and stories. Frances read some stories to the eldest children and the Bear visited each room to say hello to all the excited children. The Elmscot Group started 17 years ago and now has 14 educational settings, including their eight Kids Collective out-of-school clubs. The Elmscot Group was established in 2001 by two Altrincham-based working mums, Stephanie Molnar and Dee McKenzie, a biologist and accountant respectively, who were struggling to find a homely nursery offering outstanding childcare, nutrition and education for their own children. Stephanie and Dee continue to run the organisation with their 225 colleagues and are now responsible for the care and early years’ education of over 1,700 children.